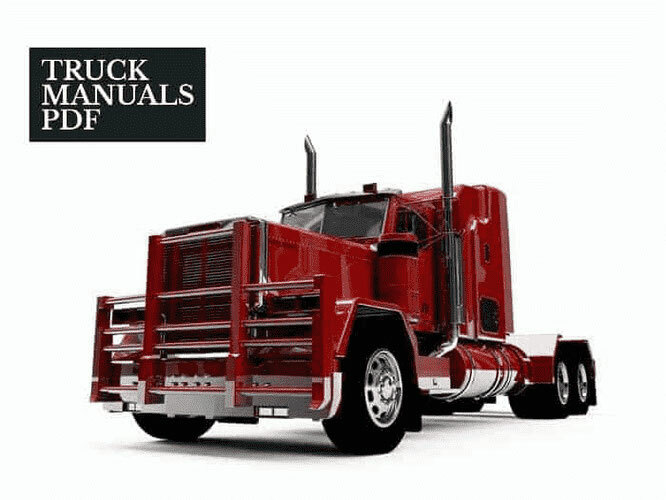 Some GAZ Truck manuals PDF & Wiring Diagrams shown above. Gorky Automobile Plant (GAZ), a Russian company for the production of cars brands" Volga "," The Seagull ", as well as trucks. Headquartered in Nizhny Novgorod (Gorky was called until 1991). History of Open Joint Stock Company "GAZ" has its origins in 1929 March 4, 1929 decision the Supreme Economic Council of the USSR and signed an order to build an automobile plant. April 6, 1929 approved the decision on the choice of the construction site of the future automobile - around the city of Nizhny Novgorod. May 31, 1929 the Supreme Economic Council of the USSR and the US firm "Ford Motor Company" signed an agreement on technical assistance in organizing and establishing a mass production car type "Ford-A" and truck-type "Ford-AA." Technological and structural design was carried out in America mainly by domestic engineers in close cooperation with the company "Ford Motor Company". Architecture and construction project was developed by "Austin & Co". May 2, 1930 in Nizhny Novgorod was laid the first stone in the foundation of the automobile plant. Thanks to a successful project, skillful leadership, personal responsibility of each participant factory was built in 18 months. January 1, 1932 car factory was put into operation. January 29, 1932 rolled off the first car - truck GAZ-AA. Since December 1932, the car factory began assembling mid-range cars GAZ-A. The first cars models GAZ-A and GAZ-AA manufactured from drawings by American company "Ford". Despite this, they are somewhat different from American prototypes: the Russian version were reinforced clutch and steering gear. 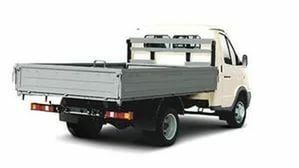 Combining the use of Ford's development with the search and implementation of its decisions, the designers have created a lot of modifications on the basis of "lorry". In 1933 there was a bus service appointments GAZ-03-30. At the end of 1934 stood at conveyor triaxial truck GAZ-AAA. Later came the GAZ-410 truck. And in 1937, at the branch Gorky Automobile Plant started production of sanitary bus GAZ-55. Also in those years was created and gasification truck GAZ-42. On the basis of GAZ-A was created pickup GAZ-4 with a steel cab and a metal platform with 500 kg of cargo. Pickup trucks GAZ-4 steel off the production line in 1933 An important date in the biography of the plant began the day April 17, 1935, when rolled off the one hundred thousandth car. It was a passenger GAZ-A. Thus, in the 30s, for the first time in the USSR, with the technical assistance of experts from the American "Ford Motor Company" was mastered conveyor line production cars. New milestone in the history of the plant has been the creation and development of the car M-1. Mass movement for the mastery of technique and productivity given as soon as possible to conduct pre-production of new cars. Under the agreement signed with the company "Ford", this car as GAZ-A was also determined his Ford prototype. However GAZ design team, headed in 1933 by talented specialist and organizer of AA Lipgart, considering not only the experience of production and operation of the first model, but also to their own views on the domestic car, resolutely refused to copy the American model. So, instead of installing the V-8 engine with US counterpart was boosted from 40 to 50 hp and substantially upgraded already produced four. But major changes were made chassis frame is created and a new rugged suspension design (four instead of two transverse leaf springs in analog); spoke wheels gave way to the disk stamped with tires larger dimension. The reasons are clear: Ford chassis actually proved unfit to work in conditions of Russian roads. As a result, the GAZ-M1, and all subsequent models of cars GAZ turned hardy, durable, low-maintenance. Appearance of the car also was changed due to enlargement of the front of the frame and lengthen the wheelbase and better proportions became more interesting was the appearance of the entire front assembly - bonnet and wings grille. Thus, the design team creating factory GAZ-M1 not only withstood the big exam, but also laid the foundations of design school GAZ. The design of the car was so successful that its production was deployed in Poland, China, North Korea. GAZ-51 served as the base for numerous models and modifications: terrain vehicles GAZ-63, GAZ-651 buses (later PAZ PAZ-651 and 653), truck GAZ-53 truck tractor GAZ-51P and a number of other machines. The second was mastered GAZ M-20, the famous "Victory". The first batch was collected in June 1946 This car was destined to become not only a landmark, and enter a bright page in the history of not only domestic but also international car-building. GAZ M-20 became known primarily thanks to the original form of the body, which created a very low aerodynamic drag, just 0.34. The design of the machine opened up a new trend in contemporary automotive fashion, caught in the next 2-3 years, many global automakers. "Victory" was the first Soviet car with a monocoque body and the world's first production car with a body "wingless" form. The car also featured independent front suspension, hydraulic brakes, door hinge on the front loop, V-shaped windshield. The comfortable cabin with heater freely placed 5 people. It is worth noting that to ensure extra comfort all the "Victory" equipped radios. Along with the base model sedan was produced from 1949 to the modification of the cabriolet. In accordance with the development of the country's taxi was reportedly made more than 37 thousand cars modification "taxi". In total, twelve and a half years from the conveyor descended more than 235 thousand cars GAZ M-20. At its base was produced and all-wheel drive model GAZ-72. "Victory" has received good reviews abroad. Its export not only in the Eastern bloc countries, but also in some Western European countries. According to Soviet license GAZ M-20 under the name "Warsaw" for 23 years, produced in Poland at the FSO factory. In 1948, a team of designers led by AA Lipgart and NA Yushmanova on Human-governmental task began designing a new large car class, get the index of the GAZ-12 "ZIM".